The Mongol Warriors under the rule of the mighty Genghis Khan were a huge army of fearsome fighters that grew up knowing only war and violence. The power and fortitude of these mighty warriors, allowed the Mongols to control one of the largest empires ever known, such was the battle skill and military might of the Mongolian warriors. Becoming a warrior of this nomadic empire, mean't military service was a way of life for all men over the age of 15. From that age and likely to death you were a Mongol warrior, one of the most successful warriors from ancient history. 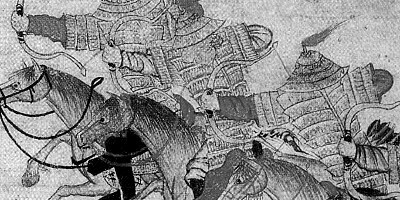 Tactical and calculating, the Mongol warriors employed many tactics when it came to war. Fighting was never a simple exhibition of force, it was a paced, evaluated and considered option. 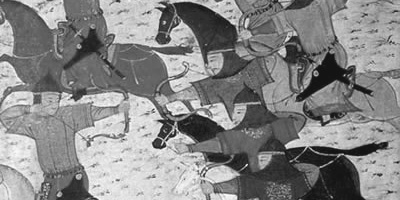 The Mongols would fight using formations, proven battle tactics and were comfortable with a bow. If no bow was to hand, then the Mongol warriors was more than comfortable and highly capable using a sabre or a spear to fell their foe. 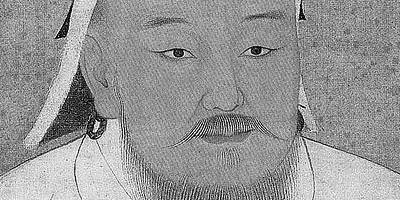 The real rise to prominence within the Mongol empire began when Genghis Khan became the first Khagan, the Great Khan. 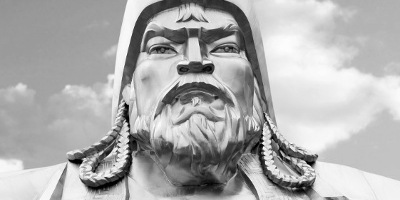 Genghis was born in 1162, and in 1206 he had obtained his position as the Khagan. Ghengis had already started uniting the many tribes and groups into what would become a formidable force and grow into one of the biggest empires the world would ever see, the Mongol empire. The Mongol army had a very regimented order, with chain of command, organised unit structures and regional managers to keep control of the vast Mongol empire. It was this rank and order, flowing out from the Khan to his regional overseers the Ilkhan that allowed the rapid expansion of the empire. Its told that Genghis was largely responsible for this ranking and order, his management skills were superb and he was not worried about taking the ideas of others. Genghis borrowed many ideas from other empires like the Chinese, and tailored them to suit his and the Mongol empires needs, like the staggering warriors units. In battle the vast units of Mongol warriors were divided into multiplications of 10, from the smallest unit of ten warriors, an Arbatu, to the largest unit being a Tumen comprising of 10,000 Mongol warriors. These Tumen would then become a really scary military might once they were stacked together to form an imposing Ordu, the culmination of many Tumen. The Mongol warriors chose their weaponry carefully, long range and short range were both important and the Mongols had two primary choices. 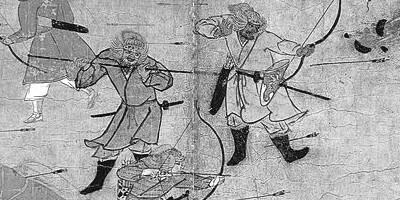 Firstly the Mongol warriors were known for their bowmanship, masters of the long range and close range attacks, it was common for each Mongol to carry more than one bow. 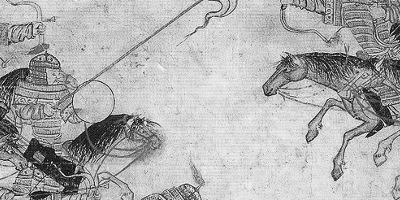 When in melee range or without their trusty bows, the Mongols would draw their sabres. Perfect for close combat and slicing from horseback, the Mongols were the pioneers of the curved blade, and this one handed sword was a required tool in the Mongol empire. 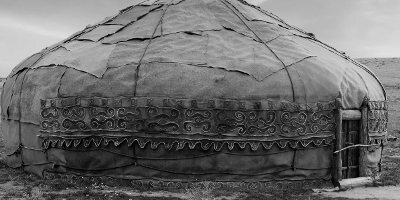 As a Mongol warrior your life would consist of fighting, so it was only natural to look toward some protection from your armour. It’s thought however that in reality, not every Mongol would be armoured, especially in the early years of the burgeoning empire. However it would have been common for every Mongol to look to wield a shield into battle for at least some protection from projectiles or blades. For those Mongols that were afforded armour, particularly the heavy cavalry troops in later years, they would have the most popular armour of the time, Lamellar armour. This style of armour was comprised of pieces of material laced together which formed a carapace over the wearer. This suit would be topped off with a metal helmet lined with fur, perfect for the often harsh weather the Mongols encountered, and providing protection from blades or arrows. The Mongol warriors can best be defined by their unwillingness to quit and their dedication to their leaders and commanders. This behaviour was rewarded, which would likely have created a perpetuating trust. 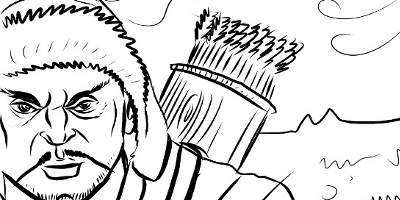 Genghis in particular chose his Keshing, his personal guard, from the bravest of most intelligent warriors. Whether you were a noble or a common man the oppurtunity to rise was there in the Mongol empires. However in the reign of the Mongols life was typically short, there was little respect for death, and the Mongol warriors lived by this code. They were willing to throw themselves into battle after torturous journeys, willing to ride horseback for days and go without food and water when require. In short the Mongol warriors were some of the toughest and most resilient warriors who few of the time could compare to.